When you buy from Superior Auto Group of Orangeburg, not only are you buying a quality new Buick, GMC, Honda, Kia or pre-owned vehicles such as Chevrolet, Ford, Dodge, Toyota and Nissan brands but you get our convenience pledge. You will get your own personal sales representative that will deliver your vehicle right to your door! We will cut through the sales process to make buying from us as simple and easy as possible. If we don't have what you are looking for in our huge selection of inventory, we will find it for you. Superior Motors, Inc. Buick GMC of Orangeburg has large variety of new Buick and GMC models. There is also a huge selection of used vehicles. Give sales a call at 803-937-4548. Need an oil change? Give us a try if you are in the market for new tires in Orangeburg? Superior Motors features a GM Service Department that can do all maintenance related issues that you may have. Make your service appointment online with Superior Motors. If you are looking for GM Parts or GM Accessories, check us out. Columbia, SC customers, our parts department will have what you need here in Orangeburg. Call service or parts at 803-937-4549. Superior Honda of Orangeburg has not only has a large selection of new Honda models and pre-owned vehicles, they also offer a Honda service department to handle all your vehicle needs. Feel free to schedule a service appointment today. Looking for tires, Honda parts or Honda accessories? Look no further, because Superior Honda has you covered. Call Superior Honda's sales department at 877-375-4759 or parts and service at 866-857-3038. Superior Kiaof Orangeburg is ready with a huge selection of new Kia models and used vehicles. Call Superior Kia sales department at 877-794-0035. Superior Kia makes the grade with a Kia service department, ready to meet your needs. Schedule your appointment for service today. Call the service department at 877-794-5038. Ready for an oil change, new tires, Kia parts or Kia accessories, Superior Kia has what you need. Just a short drive from Columbia, SC or Charleston, SC. 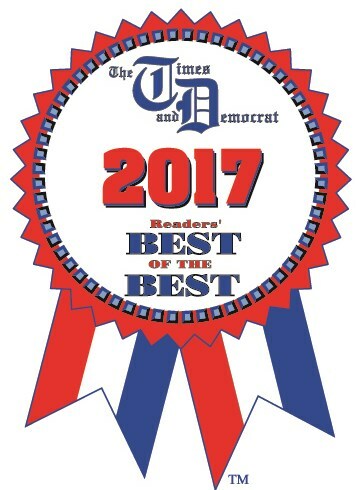 Give us a chance to show you way we have been voted Orangeburg's Best of the Best over and over!